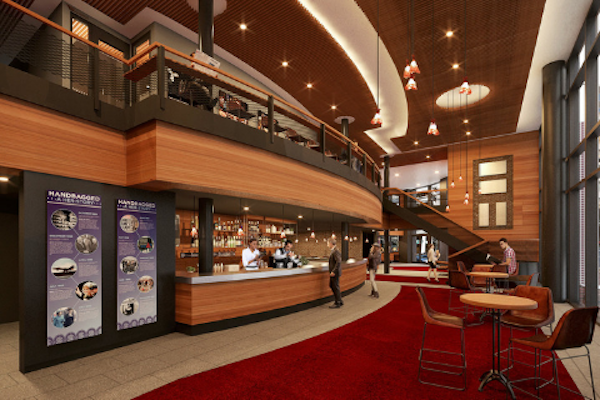 A rendering of the renovated lobby and grand staircase. Patrons will be treated to an entirely new experience for the upcoming season at Round House Theatre in Bethesda following a full interior renovation. The building will have an expanded lobby with a full-service bar. A long staircase will provide better access to the theater, and ticket takers will move out from behind glass to better interact with customers.